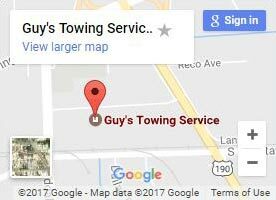 Get in touch with Guy’s Towing Service today for all of your tow and transport needs. For non-emergency services you can fill out the contact form or give us a call. For our 24 hour emergency service, please call.